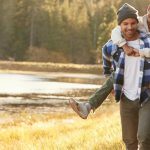 Many health insurance plans don’t offer dental care and while some plans may include dental coverage, the benefits are often minimal. 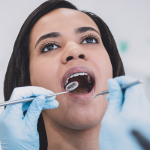 Statistics show that 45% of Americans do not have active coverage for dental care, meaning nearly half of the population may be going without critical dental care and treatment. 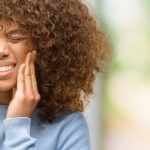 This widespread lack of dental coverage is unfortunate when you consider that the health of your teeth has a significant effect on your overall health. 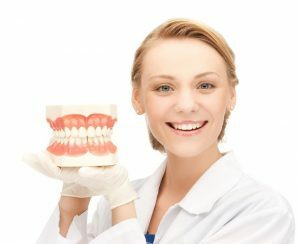 Penn Dental Medicine provides a unique offering of numerous specialities of dental care at reduced costs to give you affordable dentistry. As a dental school we are dedicated to ensuring an education for our dentists-in-training through providing low-cost care to patients who need the treatment. All treatment is overseen by experienced dental professionals and our expert faculty. Often associated with braces, orthodontics refers to diagnosis and treatment of a patient’s irregularly-located teeth or jaw. There are a variety of treatment options based on your needs, and number of treatments also will vary depending on your personalized plan. 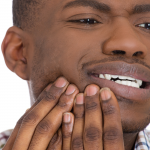 Treatment for inflamed or diseased gums is essential for oral health. Maintaining healthy gums and treating gum disease early on is critical to maintaining overall health. A periodontal dentist has expertise in oral inflammation as well as cosmetic periodontal procedures. At Penn Dental Medicine, our trained faculty, residents and students in training can provide outstanding periodontal care at a low cost. A common procedure, dental implants are required when you lose a tooth due to advanced decay, trauma or injury. To reduce risk of further damage to the mouth, an implant is used to simulate the function and look of a natural tooth. Patients will maintain more natural biting and chewing and preserve the health of the jawbone and tooth root. Implants last longer than dentures and are easier to keep clean than a bridge. We are currently welcoming new patients to our clinic. To receive affordable, high-quality dental care, consider becoming a patient at Penn Dental Medicine. For additional information, fill out this form to submit a query to receive affordable dentistry at Penn Dental Medicine.